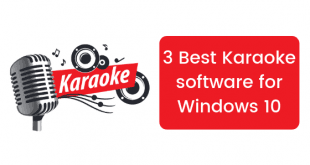 No matter what OS your computer is running on, these machines tend to get slow over time and one of the main causes of this is the build-up of temporary files in your computer. Most of these files have no use and just take up space on your computer, causing it to slow down. To top it off, you can’t just delete a folder containing these files as it is not easy to find these files. Therefore, today we’ll be talking about how to safely delete temporary files in Windows 10. However, before we begin, we ought to know about the different types of temporary files that can be deleted to make space on your computer. Temporary Internet Files: These are the files created when you use your web browser and help in loading webpages faster. However, once that webpage is closed, they are of no use and can be safely deleted. But these files will be downloaded again when you visit a website again. Downloaded Program Files: These are the files left behind by an app installer and are created when installing the app. They too have no use and can be safely deleted. Offline Webpages: Webpages that you frequent often are stored by the computer as offline webpages. This is done in order to save time when loading these pages again. If you have a fast internet connection or can afford to wait a little longer for the pages to load, these files can be done away with. Recycle Bin: Recycle bin is just a folder where all the deleted files from your computer go. If you accidentally delete a file, you can restore it back from the recycle bin. We suggest you go through the contents of the bin once before deleting the files to make sure you don’t delete something important. Temporary files: These are the files created when you open any file to edit. For example, every time you open a document.docx file, a temporary file is generated which you can later delete safely. 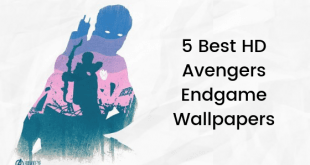 Thumbnails: Thumbnails help open image files faster. These are small previews of images and even if you delete them they will be generated again every time you open that image file. Old Windows folder: These files will only be present if you have upgraded to Windows 10 from a lower version of Windows, like Windows 8.1. These files will enable you to roll back to the previous version. Therefore, we suggest you make sure the current Windows 10 build you’re using is stable enough before you delete these files. Now that we know about the different types of temporary files and what they do, let’s learn how to safely delete them in Windows 10. 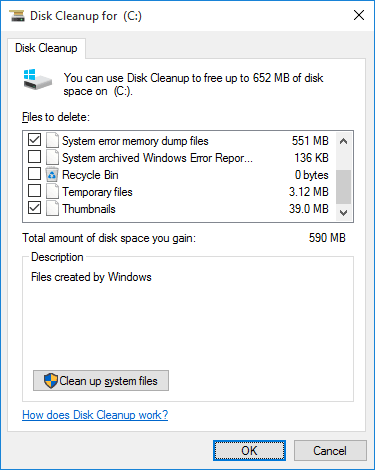 We will be using the Disk Cleanup tool for this. 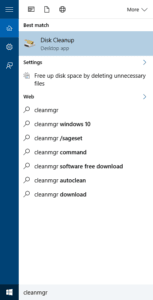 Type “cleanmgr” into the Windows search box and out of the results, click on the Disk Cleanup tool. Once the tool is launched, select the drive you want to delete temporary files from. The tool will then calculate the space you will be able to free by deleting different types of files. You can now see he different types of temporary files and the space you’d be able to free by deleting these. Select the types of files you want to delete and click on OK.
Another dialogue box will prompt asking you to confirm your action. Click on Delete. If you want to delete system files which are not being used you can click on “Clean up system files” option and delete those files. 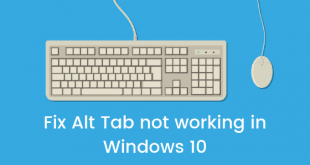 So using the above method you can safely delete temporary files from Windows 10. Got any queries? Leave them in the comments section below and don’t forget to bookmark us for more useful tips.